Born and raised in The Woodlands, Zach Richmond’s life and experiences are particularly well-suited for a career in the real estate industry. 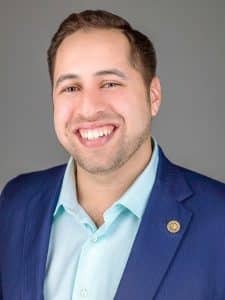 Having attended The John Cooper School and graduating from Baylor University in 2010 with a double major in Accounting Information Systems and Entrepreneurship, Zach returned to The Woodlands in 2011 to work as a commercial real estate lender with Woodforest National Bank. Exceptional at his craft, Zach became a top producer originating over $90 million in new loans. Zach’s education, lending background, depth of local knowledge and penchant for client service enable him to excel as a residential and commercial real estate professional and to always exceed expectations. As a partner with his mother-in-law, Marlys Mulkey, of Richmond Realty Group at RE/MAX The Woodlands & Spring, Zach employs his vast understanding of the community to assist his clients in finding homes perfectly suited for their needs. Beyond that, awarded 2 years in a row the prestigious 2016 and 2017 Diplomat of the Year by The Woodlands Chamber of Commerce, Zach utilizes his extensive connections to help clients build personal and business relationships in the local community that make this area a true home. In his spare time, Zach enjoys playing golf with his fiancée, Rachel, and playing basketball with friends. Zach and Rachel are both sports enthusiasts and spend time watching various sporting events. Together, they have fun with Lucy – the miniature poodle that they rescued. Zach loves listening to music and carrying out his passion for serving the local community. "Incredible professionalism, organization and commitment to deliver an experience that exceeds the highest expectations. Once again, tremendous in all regards! Thank you!"